A forum classic. Grant the wish of the person above you, but corrupt it in awful, inconceivable ways that make the above poster question their very existence, and then post a new wish. Poster 1: "I wish I had a pet Velociraptor." Poster 2: "Granted, but it eats you and uses your ribs for toothpicks." Pretty simple, right? I'll go first, seeing as I am the OP and all. Granted but PETA makes a big stink about it. Granted, but it's black licorice flavored. I wish I wasn't stressed out so easily. Granted, but now your fight-or-flight reflex will never kick in unless chased by Cthulu himself. I wish my waifu was real. Granted, but she doesn't love you back. I wish the FK toys were in stores NOW! Granted, but they're obscenely expensive and fall apart as soon as you take them out of the box. Sticking with the toy theme, I wish the Hasbro JW toy line had been to the same standard as the lines from the first two JP films. Wish granted... but all of the dinosaurs have raised toe claws, except for the raptors. If that happens IRL after all the outrage about some of the JW raptor toys, we know the companies are just trolling us. I wish for all of the Lego Fallen Kingdom sets to be delivered to my doorstep by an anonymous donor. Granted, but the Donor is Logan Paul and he films himself delivering the sets to your door, shaking your hand and calling you his 'best buddy' in front of the entire world. Granted. You are so God-tier that all of your friends will no longer play with you. I wish the Primal Carnage games were a tad more balanced. Granted, but the game is so balanced it becomes boring to you. 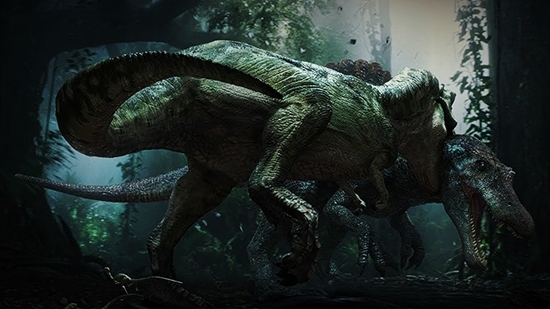 I wish that Spinosaurus would return for the final JP movie. 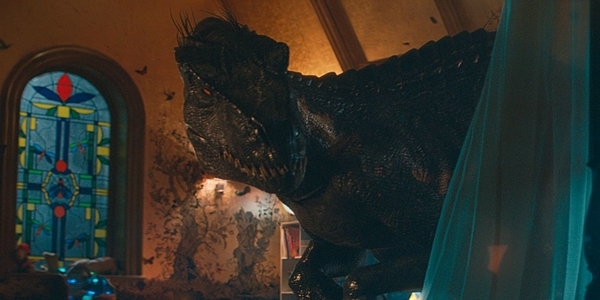 Wish granted, but Rexy shows up, and the scene is so gratuitously violent that the fight alone warrants an R-rating. I wish I had Spike so I could watch he Jurassic Park film marathon today, in case they have Fallen Kingdom news. Granted, but you still have to watch Spike. I hope Fallen Kingdom is an amazing film. Wish granted, but the film is so good that it gets too many hipster newcomers who insist they were fans of the franchise "before it was cool". I wish that the Detective Pikachu game had never been thought up. Granted, but instead of Detective Pikachu we got Detective Mr Mime. I wish that the live action Pokemon movie was actually based on the Games/Manga/Anime instead of Detective Pikachu. Granted but you must write and direct it. That wouldn't be a negative for me. I'm actually thinking of writing a Pokemon fanfic! Granted, but they're the brand new poop flavored Skittles. Poop flavored skittles. Are you pulling my leg? Granted but someone steals your best work. I wish you had come up with another wish. Granted, but all your wishes will last just one day. I wish I was a sucessfull scientist. Granted, but people are so scared/jealous of your advanced sciencing skills that you become a social pariah. Granted, but the only wishes that will come true will be the ones you hate the most. I wish I didn't have to shovel snow ever again. Granted. You're made to shovel monkeys instead. Granted. You get sucked into an airplane engine once you reach cruising altitude. To quote Edna Mode, "NO CAPES!" I wish for a delicious grilled cheese sandwich. Granted, but you spend a month in the hospital due to a nasty case of food poisoning. Granted, but now aliens appear from another dimension. I wish for no mental issues. Wish granted, but life is so boring. I wish I could see an angry Saints fan right this second. Granted, but he has a gun. I wish Mattel's FK toys would be on the shelves already! Granted but all the stores you go to are sold out. I wish there wasn't so many Minecraft songs.